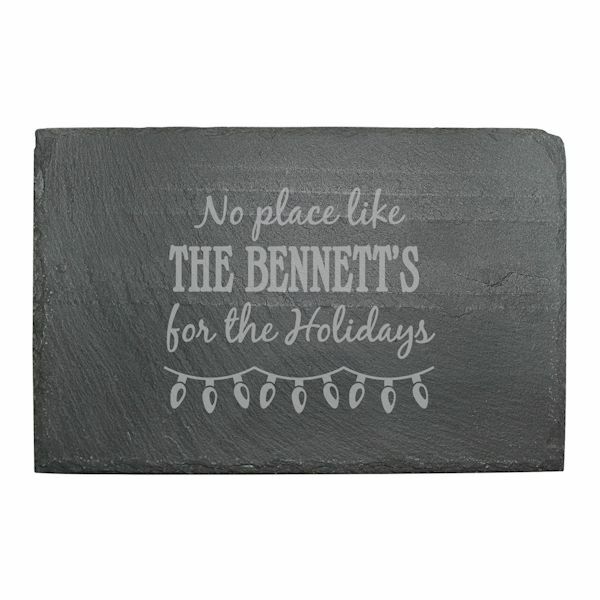 A sweet string of lights adorns this slate cheese board and the design incorporates your family name or a couple's names. 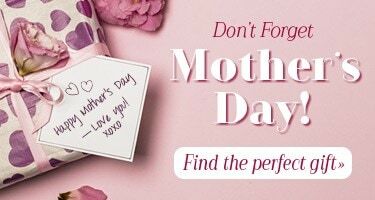 Perfect for entertaining during the most wonderful time of the year, and a great gift ideas for a bridal shower, wedding, or anniversary. Board is hand-cut and laser-etched, featuring a natural stone surface and edge and cork feet to protect your table. Includes white soapstone chalk pencil to label cheeses and appetizers. Personalized with family name or couple's names, up to 22 characters including punctuation and spaces. Measures 8" x 12". To clean, wipe with a damp sponge. Not intended for use as a cutting or carving board. Allow 3 weeks. No rush delivery or gift box. Made in the USA. Item can only be shipped within the Continental US.